Most people say that time flies when you’re having fun, but they don’t generally realize it until after the fact. Well, that’s definitely true in our case. It feels like it was just a few days ago that we launched our brand new website here, and I had posted an article celebrating our 5th-year anniversary at TOONDISE. Believe it or not, that happened exactly one year ago today. 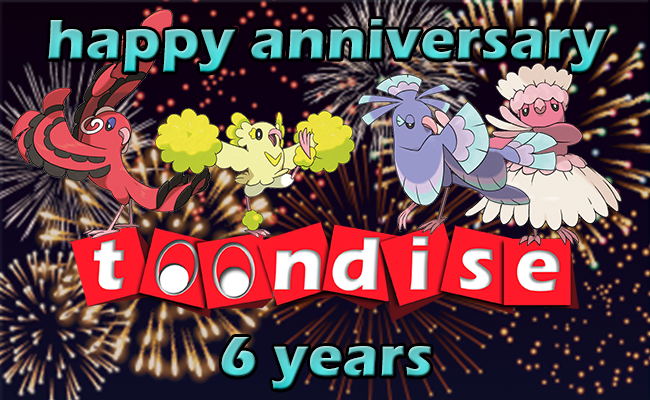 And here we are again, this time celebrating our 6th-year anniversary! To say it has been an interesting past year would be an understatement. Looking back over the last 365 days, we’ve done a lot of things. We launched our brand new website, which you’re on right now. We finished airing all 40 episodes of Mario Kart Deluxe. 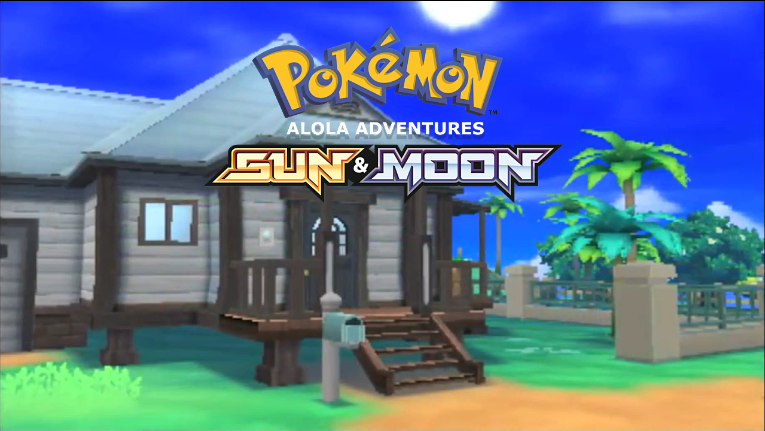 We premiered our brand new four-player anime series Pokémon Sun and Moon: Alola Adventures, which is still going strong and continuing to air new episodes throughout this year. 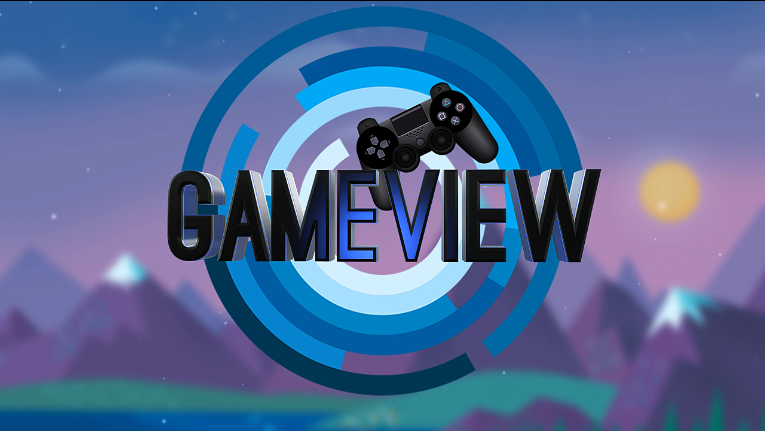 We committed to airing more episodes of our signature news and business information show GameView™. And we produced the brand new comedy Pokémon: Battle Tree Extravaganza, which saw the return of William and Dani for some laughs and some interesting battling strategies. But I’m sure as entertaining as everything was, you’re all wondering where we’re headed into the future. After all, the last few months have been very quiet. Well, here’s a bit of the rundown. Back in July, we were all set to release our 2018-2019 Upfronts Presentation, detailing our programming plans for the next year. Unfortunately, between my work schedule and a few other things that came up, we had to hold off from airing it. In the time that has passed since then, all of us here at TOONDISE have had some additional discussions and talks regarding other potential upcoming shows that we might want to develop. Needless to say, this is taking longer than we thought, specifically on working out the production schedules for filming these programs. The good news is that we should have an update for you guys soon. While we don’t yet have an exact date on when our Upfronts Presentation will premiere, some of our upcoming programs will be talked about in it, while the others will be held back for several more months, until we’re able to iron out all the filming details behind the scenes. 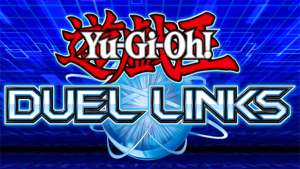 Stay tuned though, because when we do have an update, we’ll be posting it here on our website first! In the meantime, I want to once again offer a big heartfelt thank-you to all of our fans and viewers who take the time to watch our various programs here on TOONDISE! It’s always great to know that all the time and effort it takes for us to put these shows out is being appreciated. Personally, I’m super excited for what’s coming down the pipeline in 2019, and I can’t wait to share it all with you very shortly. Until then, remember that you can re-watch any episode of any TOONDISE program anytime on demand only @TOONDISE and by visiting the Episodes page on TOONDISE.com. Here’s to another exciting year ahead of us, and we’ll see you all soon!